You are browsing the Blog for common golden eye. The wintering ducks are being seen in larger numbers on the Merrimack River in Lawrence and North Andover. Among the ducks are Hooded Mergansers, Red-breasted Mergansers, and Common Goldeneyes. 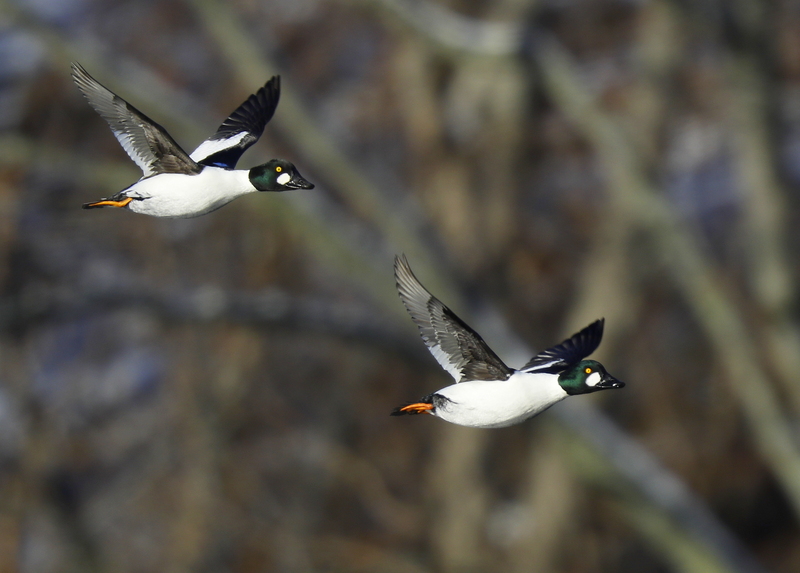 Always a treat to watch and photograph the Common Goldeneyes in flight!